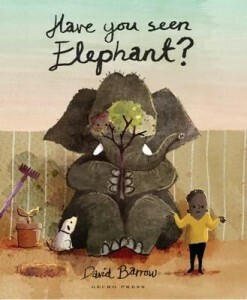 An assured and exciting debut picture book from a top emerging talent, about a small boy and his elephant playing an absurd game of hide and seek. Elephant wants to play hide and seek. But you’ll need to try your best—he’s very good! Click HERE to view David Barrow’s step-by-step guide on how to draw an elephant.